View from Hotel Nacional, Tourist Hotel. 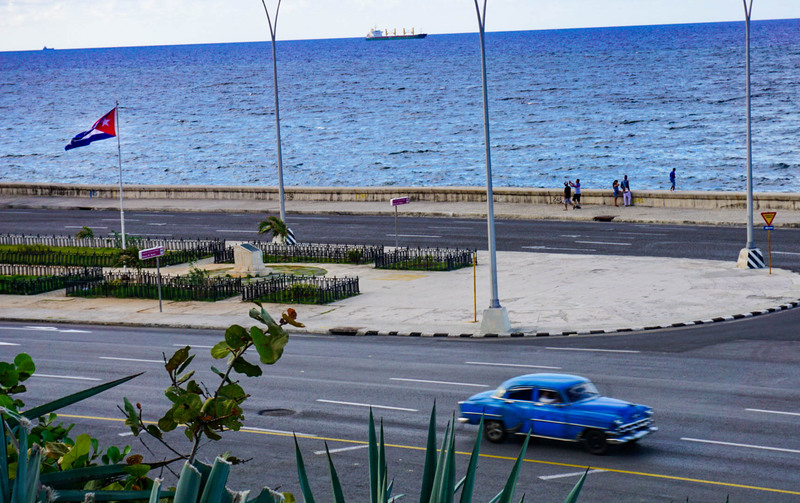 After a significant change in US-Cuban relations under President Obama in 2015, Cuba experienced a wave of fresh Americans willing to see their closest Caribbean neighbor. It was a new era. People whispered quietly passed the ears of the CDR their hope Cuba’s economy would change for the better with the influx of tourism. We waited and waited hopeful that Obama would officially end the 60 year (ridiculous) embargo. We waited. Then waited some more. Then Obama came. Here is comes!!!!! Finally! It’s okay, we thought. People are still coming, one day. One day. Then November 2016 happened. President Trump months later reversed everything we had hoped for. As if we clung on to the little hope we could finally see our families without diplomatic problems, send money to them without ridiculous fees, and call them to hear their voices only 90 miles away without being one of the most expensive places to call in the world. President Trump, with one speech and one signature later, removed the essential visa category that made traveling to the island much easier. The individual “people-to-people” category. This category was extremely vague in its description and did not require American citizens to officially sign up with a tour group. Regardless of the removal of this category, going to Cuba is STILL LEGAL using different visa categories. Let me break it down for you if you plan to come to Cuba from point of entry inside the United States or US territories. Before we start, it is important to note that Cuba does NOT have an embargo against the United States. Regardless of what passport you carry or what country (if you come from a third country i.e. Cancun to Havana) in from, Cuba will welcome you with open arms, café, and most likely dance lessons. Provision found in § 515.574 of the CACR, US government. It defines the visa as activities are recognized human rights organization, independent organizations designed to promote democracy or individual’s organization that promote independent activity intendent to strengthen civil society in Cuba. Provision § 515.574(A) to this means the traveler must have a log of their itinerary for up to 5 years. It means this visa has to record that you kept a full schedule seeing individuals or organization that directly help or show Cuban society. You can’t you use your bank card to it, as that evidence against “supporting the Cuban people”). But this visa category is extremely vague. The OFAC does not or will have a list of such organizations or individuals that promote “democracy” or “civil society” in Cuba. Nor can the OFAC track your cash money on the island. What you need to do to fall under this category? Like all categories, you must have a log of your itinerary for up to 5 years (501.601). It also means that itinerary has to show at least 8 hours of cultural experience. Itineraries of such activities can include several tourist experiences. 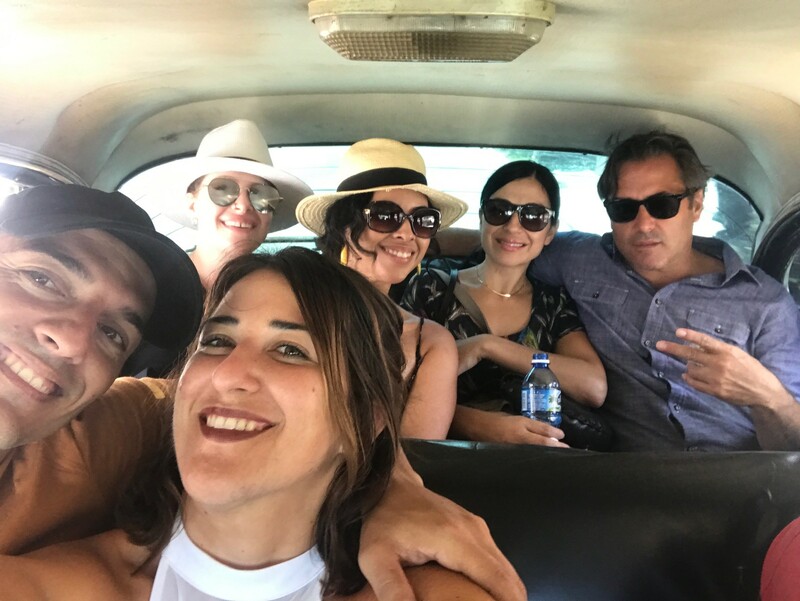 Curating a local tour with a local guide can be considered a “support of a Cuban” person. There is a EXTREMELY rare chance that American customs will care that you went to Cuba. In fact, the last person who got fined was over 10 years ago. Unless you caused extreme disturbance while on the island, you will be fine. Provision § 515.565. This one is a bit trickier since most of you will not be enrolling in a college class in Habana or a university sponsoring a class in Cuba. Visa requirements include, like the Support of the Cuban-People, to obey the record keeping laws and record activities that engage Cuban people and have educational elements to it. For example, if an individual plans to travel to Cuba to engage with local artists and have extended dialogue with farmers in Cuba and can demonstrate those activities in a log for up to 5 years, you fall under the visa category. This is probably the weirdest way to enter the country, but also the least recordkeeping needed. Now, I know you’re thinking…wait, I’m not Cuban! I don’t have Cuban family in Cuba. Well, you don’t. But that’s okay. Yes, you still don’t have anyone in Cuba. But what is the likihood the US is going to commission a non-american to a DNA test? US has no jurisdiction to Cuban nationals. This isn’t the “legal” way, but it is a way to get you out of logging things. And remember, you will only need the tourist visa to enter Cuba. The affidavit (where you put what category you are traveling on) will be provided to you at the embarkation point in the United States or abroad. It’s a piece of paper you fill out and check what category. They keep the paper, you get the visa. That is it. When coming back to the US, customs MIGHT ask you where you came from and you say Cuba. They stamp your passport, and you go on your merry way. For cultural and educational trips that go beyond tourist areas, check out my tours in 2018 here. I can assure you, like yourself, Cubans are desperate to engage with Americans without this political nonsense. It does nothing for either side when two nations cannot engage diplomatically. In the end, it hurts relations for everyone. But you don’t need to add to it. Come to Cuba worry free and enjoy your time in the most unique place in the world!